Watercooling | Dutch Thermal Engineering n.v.
DTE is the right address for compact watercooling machines. The CoolMaster series is a range of ready-to-use watercooling machines with built-in watertank, pump, condenser and controls with capascities from 1kW up to 50Kw. 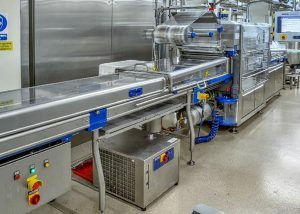 Depending on your wishes, these machines can be fitted with a large number of options such as tank heating, recuperation function, educing brush, extra pump for secondary unit etc. 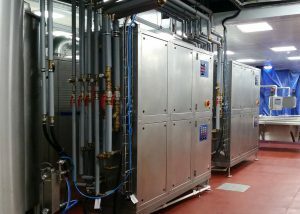 Furthermore we develop and produce all kind of custom-design cooling machines for all sorts of industrial applications. Do you have any questions? Feel free to contact us. We are more than willing to discuss what the best option is for you.